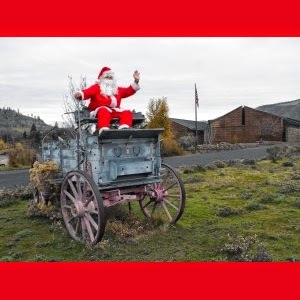 The Columbia Gorge Discovery Center & Museum is having their annual Holiday Open House this Saturday, December 6th. This Holiday Open House is a great family outing and free all to everyone all day. From 11:30 a.m. to 2:00 p.m. the River Gallery will be featuring live music performances by various local performers. Read more details about this Holiday Open House at the Columbia Gorge Discovery Center & Museum below. If that’s not enough to get you in the holiday spirit, Santa is scheduled to fly from the North Pole for a visit and a photo op! Additional highlights include complimentary cookies, hot cocoa and cider, kids crafts, Live Birds of Prey shows, and finish (or start) your holiday shopping with a 20% discount on ALL ITEMS in the Columbia River Trading Co., other special discounts and complimentary gift wrapping. A drawing for a free Gift Basket give-away will take place at the end of the day.